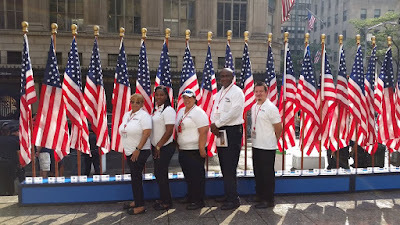 Red Cross Volunteers supporting FDNY 9/11 Memorial Service. Over the last 7 days, the Greater New York Red Cross provided emergency assistance to 72 adults and 17 children following 34 local disasters. Here are some highlights from last week and a preview of upcoming activities (see below). This past Sunday marked the 15th Anniversary of the 9/11 Terrorist Attacks. Red Cross volunteers supported memorial services in Manhattan and the Staten Island. 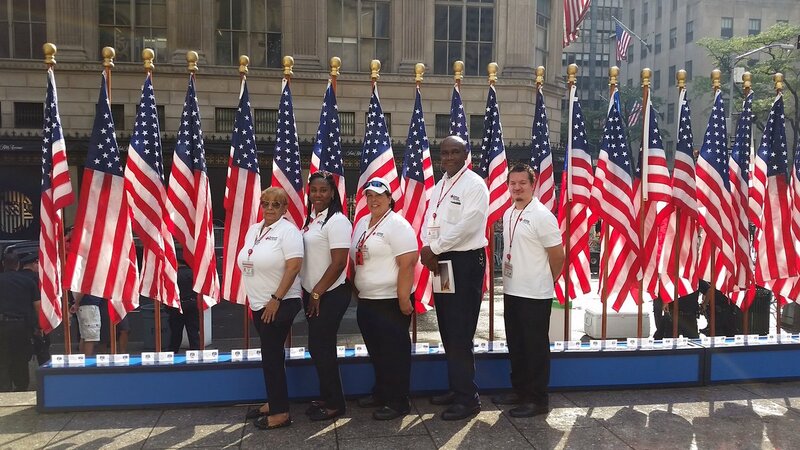 We honor the FDNY DART volunteers that we lost on 9/11 and those who have since departed. We also look back at how the Greater New York Red Cross responded to those first few hours after the attacks. Many Red Cross volunteers gave their own testimonials on remembering 9/11 and what volunteering during that time meant to them. On Saturday, Metro New York North Red Cross volunteers were at the Bedford Volunteer Fair providing information about Red Cross preparedness programs and signing up new volunteers. On Thursday, Red Cross Volunteers and Staffers who supported passengers of Flight 1549 “Miracle on the Hudson” emergency landing got to attend a special screening of the Clint Eastwood directed movie SULLY. Many of the same volunteers reprised their roles in the film! Two days earlier, Greater New York Board Chair John “Ozzy” Osborn and Regional Chief Development Officer Kevin Taylor represented the Red Cross at the New York premiere of SULLY. Sep 12, 15, 17, 19: Red Cross blood drive: 2 to 7pm: 520 West 49th Street, Manhattan. Schedule an appointment to donate today. Sep 17: Please note the Radiation Situation: A Red Cross Simulation exercise has been postponed. Stay tuned for more information on a later edition of ICYMI. Sep 22: Seats are filled for “Born on the Battlefield” and registration is closed. This class is an introduction to the Geneva Conventions and how the International Committee of the Red Cross has historically played a role in war zones.